Grace Lefebure, The Boeing Company, has been selected as the recipient of the 2018 Young Engineer of the Year Award in recognition of her outstanding contributions as a stress analysis engineer while working on projects related to aerodynamic performance, static and fatigue testing, and bird strike impact. She developed eco-friendly leading edge technology for the 757 EcoDemonstrator program that is aimed at improving fuel efficiency and lessening the environmental impact. She has also worked on developing collaboration tools for the 777X program and developed automated stress analysis processes that streamline repetitive analytical tasks while improving data quality and consistency. She is currently working on advanced modeling methods for analysis of aircraft seats. She has been very active as a leader in the Society of Women Engineers; serving as the Newsletter Editor, Vice President for Professional Development, and Section President. As Newsletter Editor, she incorporated the newsletter into a larger strategic plan for the section’s virtual brand that includes brand-integrated social media accounts. As the Vice President for Professional Development, she planned professional development events and networking events and started a monthly book club. As Section President, she leads the Section Executive Council in planning, organizing, and executing professional development, outreach, and recognition activities as serves as liaison with the national organization. 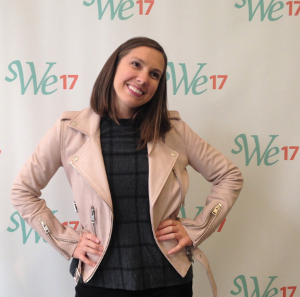 She worked with a team of public school teachers to develop math, science, and engineering problem-based learning units for 4th and 5th grade students as part of the Washington Alliance for Better Schools STEM fellows program. Her team’s units focused on renewable energy, electricity, and power and required students to use critical thinking and logic to make decisions.